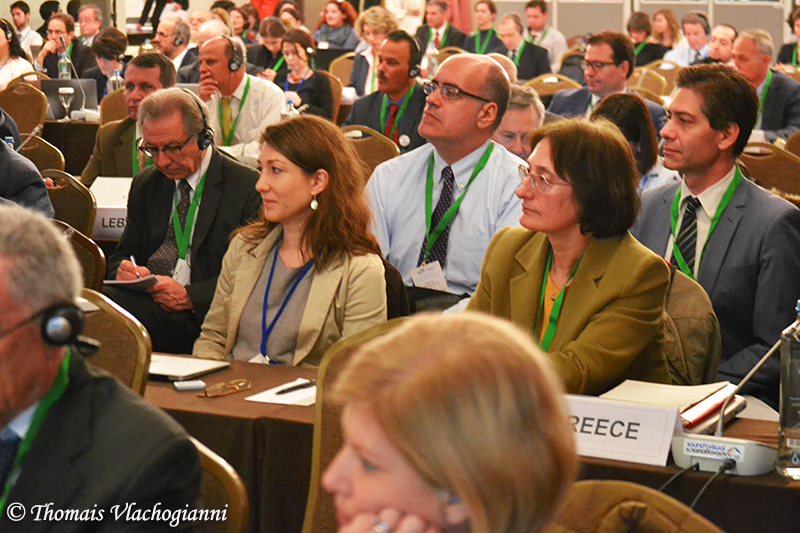 The deliberations of the 19th Meeting of the Contracting Parties to the Barcelona Convention (COP19) hosted by the Hellenic Government were held successfully from 9-12 February 2016 in Athens, Greece. 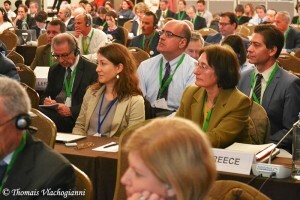 More than 150 delegates from 21 Mediterranean countries and the European Union, all parties to the Barcelona Convention discussed and agreed upon a great number of decisions which reflect the vitality and relevance of the Barcelona Convention, after a 40-year collective journey towards sustainable development. At the ministerial meeting (11 February 2016), Mediterranean ministers and parties contracted to the Convention, renewed their commitment to enhance measures to reduce pressures on the marine and coastal environment. Highlighting their concern by the continued threats posed to the Mediterranean, they adopted the Athens Declaration, in which they pledged to implement the instruments, programmes, action plans and guidelines adopted at COP19 -to prevent pollution from maritime transport, marine exploration, and land-based activities, protect biodiversity, manage coastal zones, and increase the resilience of the Mediterranean to the impacts of climate change-, as crucial means for the achievement of the objectives of the Barcelona Convention and its Protocols. MIO-ECSDE actively participated in COP19 and welcomed a series of decisions relating to: the adoption of the Mediterranean Strategy for Sustainable Development 2016-2025; marine litter and the adoption of a basin-wide beach litter reduction target of 20% by 2024; the Mediterranean Susainable Consuption and Production Action Plan, etc. MIO-ECSDE is particualrly happy that the Ministers’ Declaration mentions that “Mindful of the Mediterranean Strategy on Education for Sustainable Development, resolve to enhance public awareness and the role of education promoting sustainability and the implementation of the SDGs in the Mediterranean”.